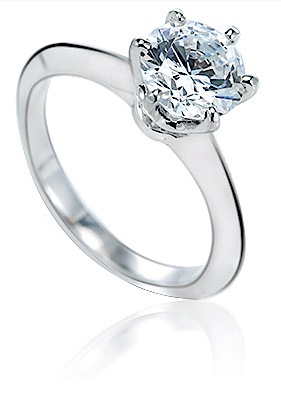 The Wellington 1.5 Carat Round Knife Edge Cubic Zirconia Solitaire Engagement Ring features a 1.5 carat 7.5mm round brilliant center cubic zirconia set in a beautiful uniquely styled knife edge shank. 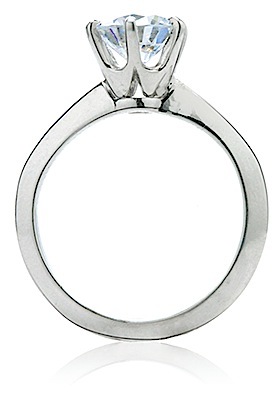 The six prong head features a rounded "W" shaped design. 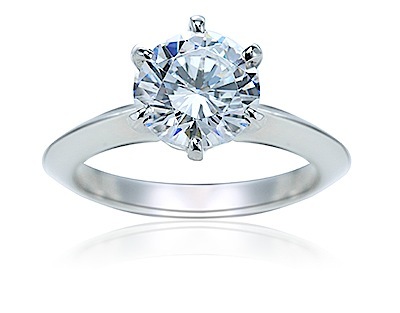 This classic tiffany style solitaire is the perfect choice for your engagement ring in its classic yet sophisticated design coupled with our Russian formula cubic zirconia that is hand cut and hand polished to exact diamond specifications. 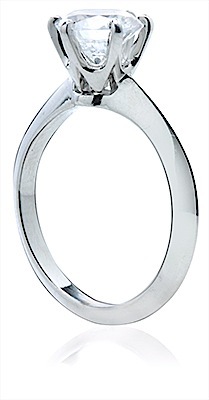 Choose from whole and half finger sizes 5 through 8 in solid 14k white gold. Please see the pull down menu for options. For further assistance, please contact us directly at 1-866-942-6663 or visit us via live chat and speak with a knowledgeable representative. Due to extremely low pricing, all clearance sales are final. Sizes below a 5 or above an 8 can be made via Special Order. Also available with different shapes and size center stone via special order. 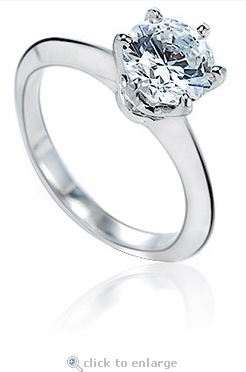 Please call 1-866-ZIAMOND for a quote.